Blooming Prairie sophomore girls golfer Taylor Christianson has a strategy for overcoming a bad hole that most of us weekend hacks don't have in our arsenal. "If I get a double bogey or something ... I just tell myself I have to par out now," she said. Christianson put that mental strategy to good use in the final round of Tuesday's Section 1A meet on a rainy day at Willow Creek in Rochester. After a triple-bogey on the first hole, Christianson kept her mental composure in soggy conditions and overcame a substantial deficit en route to a career-best 18-hole score of 84. She started the day three shots off the lead and ended the day as the Section 1A girls medalist (173), earning her second consecutive trip to state. "My dad (Mike Christianson) is there to help me with the mental part," Christianson said. She is used to playing in front of an audience -- and embraces it -- and she'll get to do it again at Pebble Creek in Becker on June 9-10. As for her golf swing, few female golfers have Christianson's length off the tee and in the fairway. She has excellent tutors to thank for bringing that part of her game along, too, including coaches Erik Vigeland, Carl Peterson and PGA professional Aaron Ressler, whose golf simulator is available year-round at Bunkies on Main Street in Blooming Prairie, and he serves as a teaching pro for Blooming Prairie Country Club. Not many towns the size of Blooming Prairie, with small 9-hole courses like the Blooming Prairie Country Club, have access to golf pros like Ressler, who has served as a club pro and teaching pro at exclusive courses in Rio Verde, Ariz.; Lake Placid, N.Y.; and Aruba, to name a few locations slightly more exotic than the small town along Highway 218. Ressler has helped Christianson shave three strokes off her 9-hole high school average (from 48.5 in 2014 to 45.5 this season). Christianson also has lowered her 18-hole high school average from 96.0 to 89.6. And her best rounds have come recently. Christianson shot an 86 at a tournament in Dodge Center on May 4, shaving 17 strokes off her score at that same course just a week earlier. She shot another 86 at the Gopher Conference tourney in Waseca on May 15 before keeping her score in the 80s in tough conditions in both of her Section 1A rounds. Christianson finished tied for 40th in last year's state tournament at Pebble Creek, shooting 100-95 at the two-day event. There's no reason to think she won't improve those scores dramatically here in 2015, although Pebble Creek presents a challenge that is rarely an issue at BPCC: You can't always hit driver. "You have to lay-up on a lot of the holes," Christianson said. "I just end up hitting longer shots into the green." So length still works out as an advantage, it just doesn't always come in the form of a 250-yard bomb off the tee as is often the case at BPCC. I didn't ask Christianson what her goal was for State this time around because I'm not a fan of that question -- it's insulting in that it implies her goal could be something short of winning the title. Having seen Christianson's game in person, I believe she will contend for that state championship -- if not this year, certainly in her remaining two years of high school eligibility after more summers and winters working with Ressler. If she pulled it off, Christianson would be the second Awesome Blossom to win a state title in girls golf (Lisa Meshke won the State A title in 2000). But that's easier said than done. Last year's state champion, Christine Piwnica of Southwest Christian, shot a 159, although she has graduated. Runner-up in 2014 was Westbrook-Walnut Grove's Abby Herding, who shot 168 as a sophomore. These numbers are certainly attainable for Christianson if she continues to improve the way she has in the past few weeks. Blooming Prairie was down this year as a team for both boys and girls -- in fact, they weren't able to field a full team. Christianson's classmate, Tommy Braaten, finished one stroke away from being in a playoff for a State berth, but there were only four other golfers (two boys and two girls) who competed on the varsity team. That should hopefully change next year with a new crop of younger players at BPCC coming up. Christianson will compete in several Junior MGA events this summer, and probably will play in the Owatonna City Open, where she could end up competing against Owatonna girls golfers such as Maddie Peglow, a senior at OHS who is having a great year for the Huskies on the links. But for now it's a waiting game until June 9 rolls around. Christianson's history would indicate she'll be ready to go when the time comes, rain or shine. 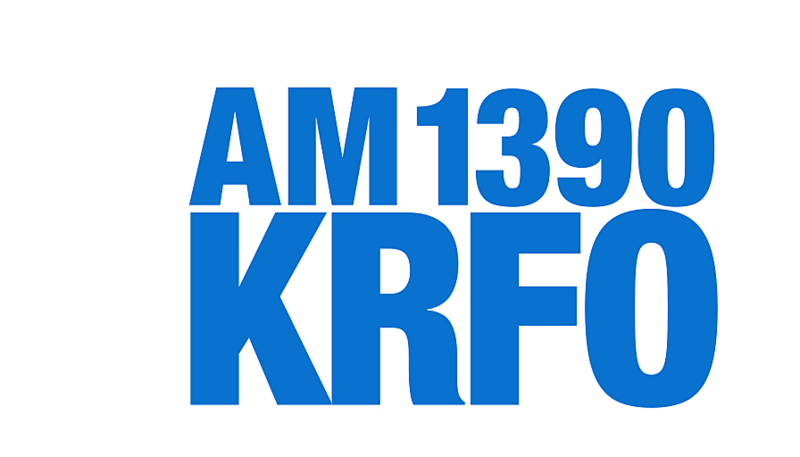 Jason Iacovino can be heard Tuesdays and Fridays on KRFO-AM 1390 at 3:50PM. Leave a comment below and follow him on Twitter @JasonIacovino.